Skye Vanek of Columbus was five months pregnant when she became homeless. After her house burned down, the 21-year-old bounced between hotels, even living in her boyfriend’s car for a time. But she knew she needed a plan. She was told if she didn’t find permanent housing soon, her daughter could be taken away from her. That’s when she discovered Huckleberry House, a Columbus shelter that provided Vanek and her daughter with a place to live and helped put her through school. “If it wasn’t for those centers, my daughter wouldn’t be here with me,” Vanek said, choking back tears and clutching her baby to her chest at a news conference at the Columbus Foundation on Monday. Columbus is now getting a helping hand to deal with the youth homelessness crisis for people like Vanek. 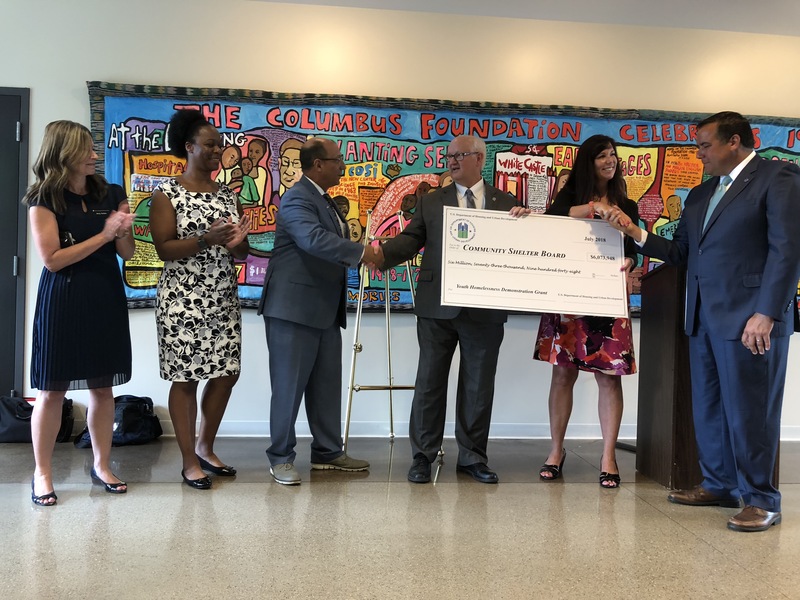 The U.S. Department of Housing and Urban Development awarded the Community Shelter Board of Columbus a total of nearly $6.1 million Monday through its Youth Homelessness Demonstration Program. Out of the 11 communities nationwide also given grants, Columbus was awarded the second highest amount of money, behind San Diego, which received $7.94 million. A total of $43 million was disbursed. The Community Shelter Board will develop a comprehensive plan in the next four to six months to address the youth homelessness crisis in Columbus. A youth advisory board, composed of people who have been affected by poverty or homelessness, will assist in formulating the plan. Programs are anticipated to begin in 2019, according to a Community Shelter Board press release. “We are going to create a new reality for the most vulnerable members of the community,” said Michelle Heritage, executive director of the Community Shelter Board. In 2017, more than 1,300 people ages 24 or younger were served at Columbus and Franklin County shelters — a figure Columbus Mayor Andrew J. Ginther called “unacceptable.” More than 900 unaccompanied young people also visited Star House, a youth drop-in center in Columbus, last year. Those numbers aren’t necessarily indicative of the entire youth homeless population, said Sara Loken, community relations director for the Community Shelter Board, since not all youths go to traditional shelters. A point-in-time count on Jan. 31 found 174 young people in that age range homeless in Columbus. 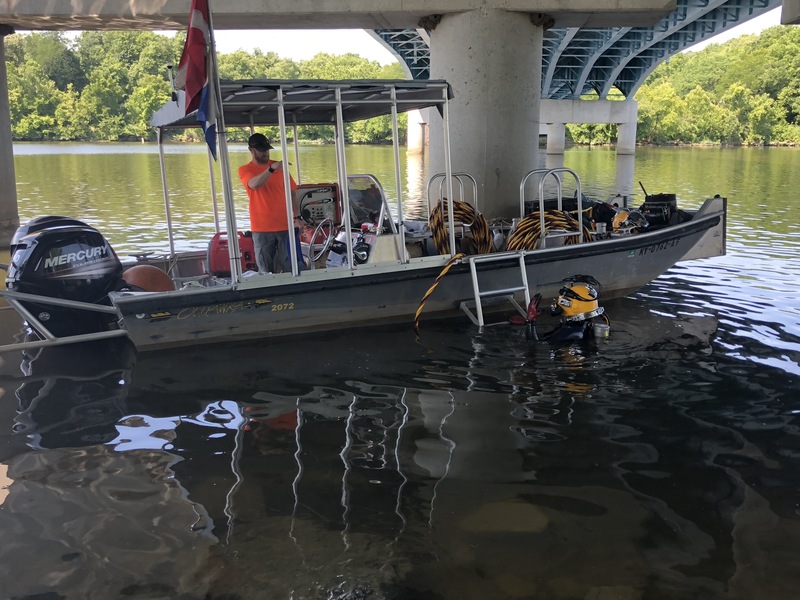 The two-year federal grant will be blended with private sector resources, including investments from the Columbus Foundation and United Way of Central Ohio. The HUD money is specifically designated for tackling youth homelessness, allowing Columbus to expand its efforts for that population in the coming months and years. Last year, Columbus and four other cities participated in a 100-day challenge to speed up efforts to end youth homelessness. That effort helped with the realization that Columbus needed to do more with prevention and programming, Loken said. She also said it helped strengthen the group’s HUD application. Originally published for The Columbus Dispatch on July 16, 2018. Many Ohio teachers reach into their own pockets to buy an average of $600 in school supplies a year. To help alleviate those expenses, some have turned to collecting donations online through crowdfunding websites. 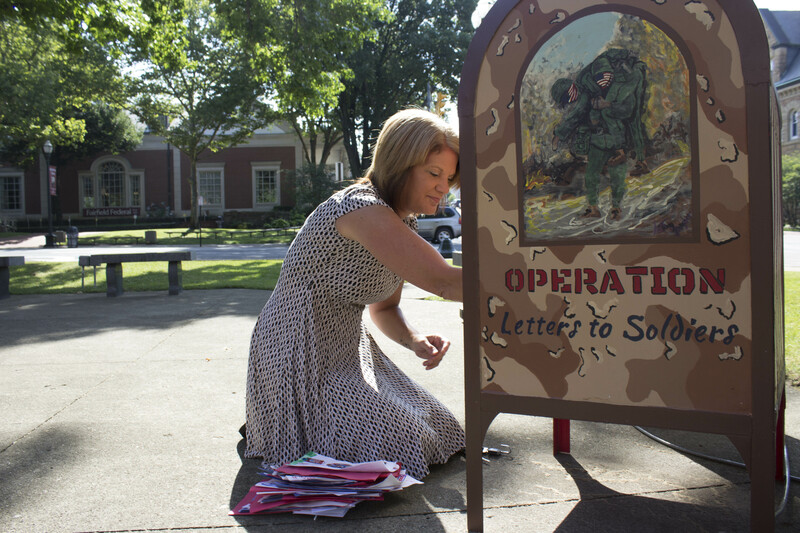 While that fundraising option has many benefits, such as engaging the community and allowing contributors to pay for school supplies at no cost to the district, there also are many risks. According to a report released Wednesday by state Auditor Dave Yost, more than half of Ohio school districts do not have specific policies on crowdfunding. Dozens of online crowdfunding sites exist, some specific to teachers and classroom needs. One site — DonorsChoose — has raised $621 million for 600,000 classroom projects. There are currently more than 900 initiatives for Ohio classrooms on that site alone. In the report, Yost recommended that school boards create policy regulating crowdfunding by teachers and others in the district to avoid potential legal issues. The Family Educational Rights and Privacy Act (FERPA) and Individuals with Disabilities Education Act (IDEA) bar disclosure of personal information about students younger than 18 without parental consent. If those regulations are not followed, districts risk the loss of federal funding. Some districts allow the use of student photos in crowdfunding efforts, and more than half said their policies don’t address the issue. Yost also warns about financial liability. Some donation sites will send specific products to the school with the money raised or give the funds directly to the district. Others give the lump sum to teachers, which raises many legal questions and potential violations of the Ohio Revised Code, because the district treasurer is required to be in charge of all school funds. If money being requested by a public entity isn’t accounted for, the treasurer would be held legally accountable. The auditor recommends that school administrators review and approve all crowdfunding policies, designate which sites can be used, require the money be used for its stated purpose and mandate that donations will not be accepted without school board approval. Originally published by The Columbus Dispatch on July 11, 2018. New Columbus Police Officer Craig Gibson shakes Mayor Andrew J. Ginther’s hand at the graduation ceremony. A slightly more diverse class of police officers received badges Friday and soon will be hitting the streets of Columbus and other central Ohio communities. Of the 52 recruits who began training at the Columbus Police Academy in December, 45 of them stood Friday before family and friends to take their oath, marking an end to 29 weeks of intensive training. One of the top priorities of the Columbus Division of Police is diversity among the police force, said Chief Kim Jacobs. The 129th recruit class — with the highest academic average of any class in Police Division history — is made up of more than 30 percent minority officers, meaning nonwhite or female officers. That percentage is higher than the current makeup of the Columbus Police Division, which Jacobs said is between 20 and 25 percent minority. Not only is the group more diverse in race and gender, but also in experience and skill sets. Among the recruits are a former pastor, an Ohio State University football player, military personnel and officers from other states. Anthony Hamilton, a 27-year-old from Dublin, was thrilled to be among the graduating recruits. As his family left the auditorium of the police academy on the West Side, they swept him up in a tight embrace. Other graduates included former Ohio State football player C.J. Barnett. And there’s Jason Sekinger, who stands 6 feet 8 inches tall. The graduates will undergo 15 weeks of field training, working with experienced officers, starting Sunday. 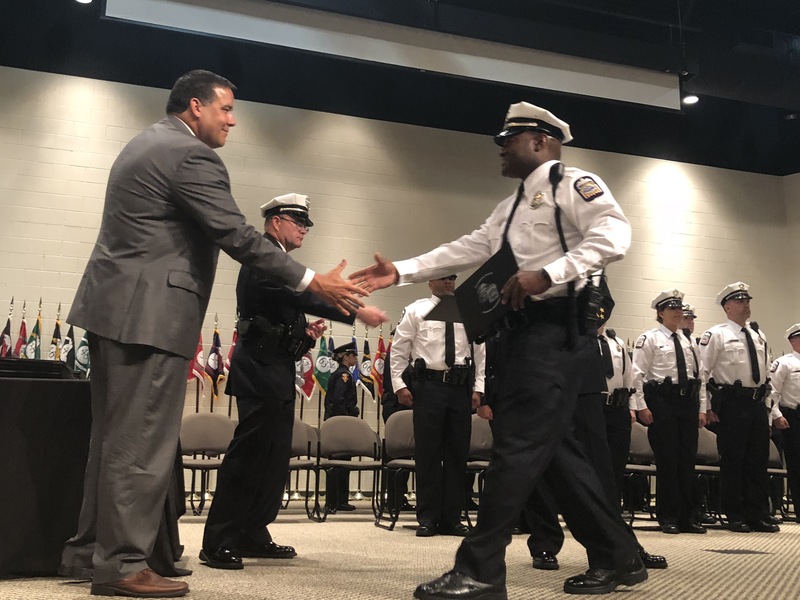 Thirty-two of the new officers will join the Columbus Division of Police; the other 13 will become members of police forces in Gahanna, New Albany, Grove City, Westerville, Hilliard and at Ohio State. Originally published by The Columbus Dispatch on July 6, 2018.